Prof. Virendra Nath Misra (17th August 1935 – 31st October 2015) had carried out extensive archaeological and ethnographic fieldwork in Rajasthan, Madhya Pradesh and Uttar Pradesh. He was the author and editor of eleven books and about hundred and fifty research papers. 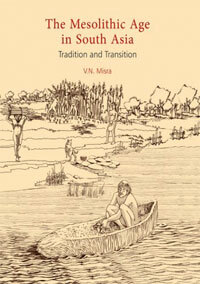 He had been the editor of Man and Environment, Journal of the Indian Society for Prehistoric and Quaternary Studies, and member of the editorial advisory boards of The Anthropologist, Journal of World Prehistory, La Anthropologie, The Holocene, The Asian Perspectives and Geoarchaeology. He had been a recipient of HomiBhabha Fellowship; Leverhulme Visiting Fellowship at ANU, Canberra; Senior Fulbright Fellowship at UC, Berkeley; National Fellowship of the ICHR; Emeritus Fellowship of the UGC; D.N. Majumdar Memorial Medal of the Indian Social Science Association; and V.S. Wakankar National Award of the Madhya Pradesh Government. Prof. Misra had taught Anthropology at Lucknow University and Archaeology at Deccan College Post-Graduate & Research Institute, Pune. He was the Director of Deccan College from 1990 to 2000.